myk derill (knotweed, reform, etc.) 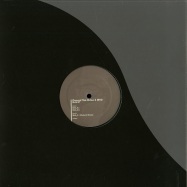 is one of the most interesting dub-techno artists! here he offers two great tracks of high quality and class. never hard but never soft. the release is completed by a fantastic remix signed by markus suckut (figure spc, sckt,etc. 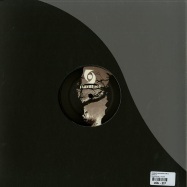 )his remix is a clear reference to the atmosphere of the past, with his usual class! another good step for fluxus records. deep, drone, soundscapes. and if the remix is signed by darkcell, then the game is complete. when two new reality as conrad van orton (key vinyl, ang, crs recordings, etc. ), and mtd (sonntag morgen) come together for a release on fluxus records .... the result can be only of a high level . enjoy it! played and supported by norman nodge, samuli kemppi, inigo kennedy, samuel l session, colin dale, dvs1, developer, alan fitzpatrick, cassegrain, markus suckut, phil kieran, max_m and more. 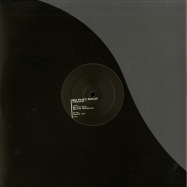 darkcell shows the new release on vinyl, just the third for his own label. his style is clearly defined. one track signed by the labels owner, and others two tracks signed myk derill (reform, knotweed, etc). darkcell transmitted in its track an atmosphere of modern techno. a slow techno rhythm, repetitive with something of psychedelic. a sort of brainwashing that will lead to total body hypnosis. the two tracks by myk derill are the same style. the first track (apply) is definitely very rough with a syncopated rhythm . the second (contemporary) is much more in the direction of dub-techno. only high quality in the fluxus records vinyl. played and supported by chris liebing, tommy four seven,speedy j, adam x, norman nodge, colin dale, dave ellesmere, brendon moeller, audio injection, forward strategy group, arnaud le texier, ness and more. 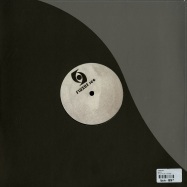 second release for the label created by darkcell. another step in the deep darkness of the modern techno, industrial, where the sounds come together to repetitiveness. sounds powerful but always hidden by a fog that makes the original track for a walk in our modern times. 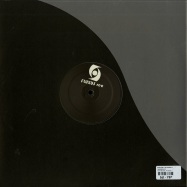 the remix of perc (perc trax, clr, etc.) makes the whole vision faster and stressful .. creating a set of rhythmic and repetitive sounds that destroy and alter any vision around ourselves. the version of bcr boys (nachtstrom schallplatten, darknet, etc.) has drawn much more syncopated, and industrial, the sound cut the atmosphere created by the syncopated rhythms ... a set of mysterious forces surrounding the whole track. power of darkness! 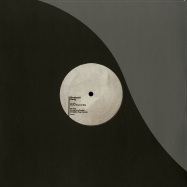 first vinyl record for this new techno label. dark, hypnotic, a modern techno. the original track is signed by a new artist, but with clear ideas: darkcell aka adriano giliberti, he creates a journey of sounds that come from far away, rhythms that never stops, with devastating and anxious atmosphere. the remix of markus suckut (stroboscopic artefacts, figure spc, etc..) is in his style, sounds that go up very slowly, everything seems to come out from under the ground and a series of clap you wake up from hypnosis. 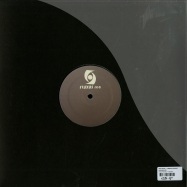 in the remix of octave (nachtstrom schallplatten, etc..) sounds are more open and the rhythm is more definite, its hypnotic but his style always goes to the techno dancefloor. the first release: you already understand the high level of techno!